DETROIT RUNNER....: Sport Hook review and Giveaway!!!! 20 miles on the schedule today.....Done and so, so happy! This is the first of two 20's I'll be doing. Next one is in two weeks. A little while back I contacted Marcey over at Sport Hooks aka Heavymetalz to see if I could do a review of one of her products for the blog and my good readers. 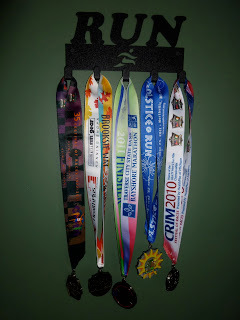 For those of you that don't know, Sport Hooks makes hooks to hang your race medals. Tell me, who does not want to show off their bling to your visitors? I sure do. I figure if you're going to hang them, why not make it fun or personalize it a little and have some style? In addition to Sport Hooks, they also make ornaments and danglers for your car as well as custom jewelry and maps. They have some really awesome products to choose from on their site. Even a nice finish on the back! I was very impressed with the quality of this product. The hanger is made from one piece of metal so there are no messy seams or weld marks on it. 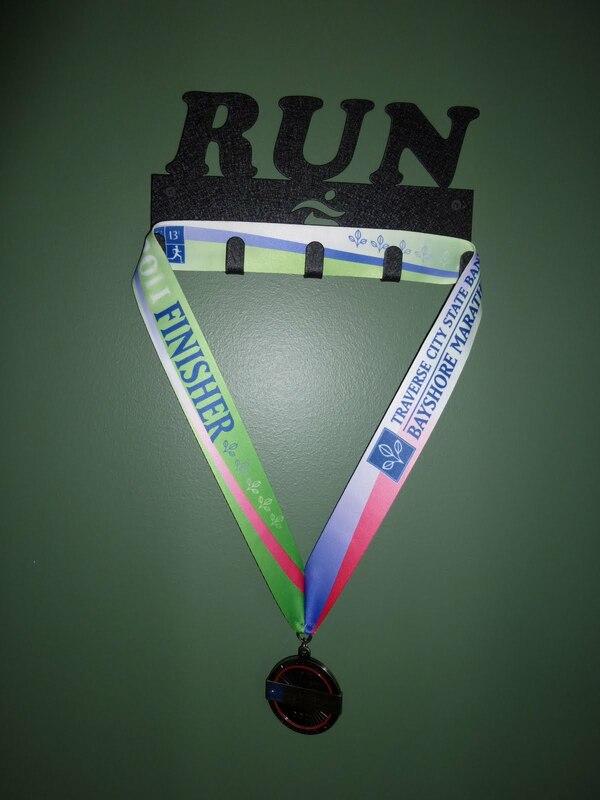 Not only that but the medal is powder coated with a type of material that make it have an even nicer feel and quality to it. As you can see, the design she sent me was "RUN" with a runner right below it. She was more than accommodating and asked me what I was looking for so I said anything with "run" on it! In this case, there are five hooks but it will hold up to 25 race medals. You could also use it to hang keys, your jackets or hats on it as well. It can certainly take the weight of anything like that. In reviewing their website, they have a tremendous amount of choices to pick from. There are one, five and 10 hook styles. 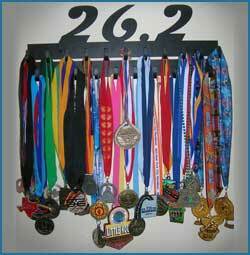 There are hooks that say marathon, marathon Mom, marathon Dad, believe, run happy, 26.2, 13.1 and so on. You can even order a custom medal with what you want it to say. Really a great gift for the runner in your life. They are also the official licensee of the Rock N Roll series medal hangers so they have some sweet RNR guitar hangers and jewelry. And if you are into Tri's? - of course they have lots to pick to accommodate the triathlete as well! This is a great idea. It really saves you money in the long run(no pun intended) because you don't have to purchase another design(unless you want another one) ---- you can just add it below your existing design. Also, check out how they aligned the hooks so that they are not on top of each other - very smart design. 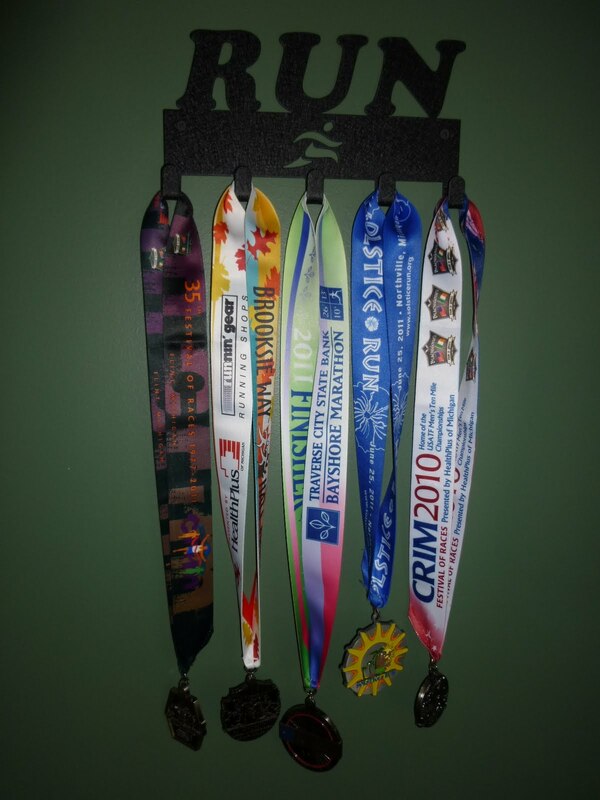 Of course, I would not recommend hanging just one medal on there especially when you can hang up to 25 medals on this thing - incredible! They do have one hook medals so you can put that special medal separate if you wanted it. Sport Hooks was also generous enough to offer a five hook hanger for Detroit Runner to give away. One lucky winner will be able to pick a hanger from their website. Sweet!!! Ok, so here are the rules and please pay particular attention to them - if it say's "Mandatory", you must do everything that says mandatory or you will not be qualified to win this awesome product so please make sure you read carefully. I check everything before a winner is determined at random. This gives you 4 total chances to win this great prize! Be sure to leave a separate comment for each entry. This contest will run through October 2nd when a winner will be chosen at random. I also want to thank Marcey and Sporthooks for sponsoring this giveaway and supporting the running community and the blogging community. 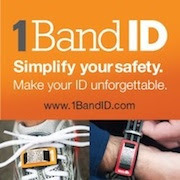 * I was sent a Sport Hook at no cost in exchange for a review of their product. All opinions expressed in this review are my own and I was not required to give a favorable review. 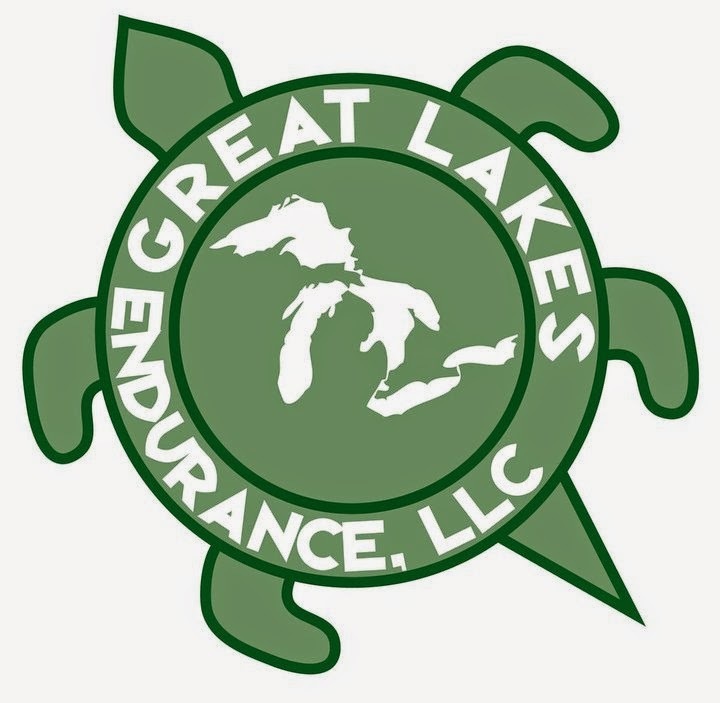 How did the 20 Miler go? Did you do it with the Hansons? I really like the 5-hook hanger that says "Believe"
I linked your giveaway on my blog sidebar. I am follower of your blog! I liked SportHooks on FB and Twitter and tweeted them that you sent me! I would love the 5 hook that says "Triathlon"
I "liked" Sport Hooks on FB and left them a comment to tell them you sent me over. On the Sport Hooks website, I like the track shoe design best. I like the 5 hook hanger that says "BELIEVE"
I like the Sport Hooks FB page and told them you sent me :). I also follow SportHooks on Twitter and sent a tweet to them! 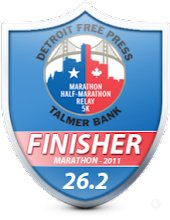 I love the hook design that have pictured- or the Marathon with cutouts 13.1 and 26.2! I friended sport hook on fb! I love the "believe" sport hook! My favorite hook design has the runner cut out of the metal on the back. I also like "Believe", too! I liked Sport Hook on FB. I visited their website - I'd go for the "Believe" hanger. Love that. I posted on facebook that I saw their product from your blog!! Also 'liked' on fb and posted on their wall. I like the hanger with the track shoe. I follow SH on twitter. I like the "Run w/ cutout" design - but I really am not picky. Winning something would be cool. I now follow them on Twitter. I am torn between the "Run" and the "Believe" hooks! I like Sports Hook on FB & commented. I like either the "Run" (like yours) or Believe. I "liked" Sport Hooks on FB and told them that you sent me! I posted your giveaway on FB and your blog is linked on my blog sidebar! My fave 5 hook hanger is the "run" one that you have above.